We all know what it's like. You walk into your brand-new apartment — the one you were so excited to find just a few short weeks ago! — only to find that it's changed. The place somehow shrunk to half the size since the last time you saw it. And the bathroom mysteriously migrated into the kitchen. Oh, and also? Your new neighbors have a penchant for bugling. Quelle desastre. It's the sad truth of urban dwelling — rental apartments are more often than not crummy, old, and bland. 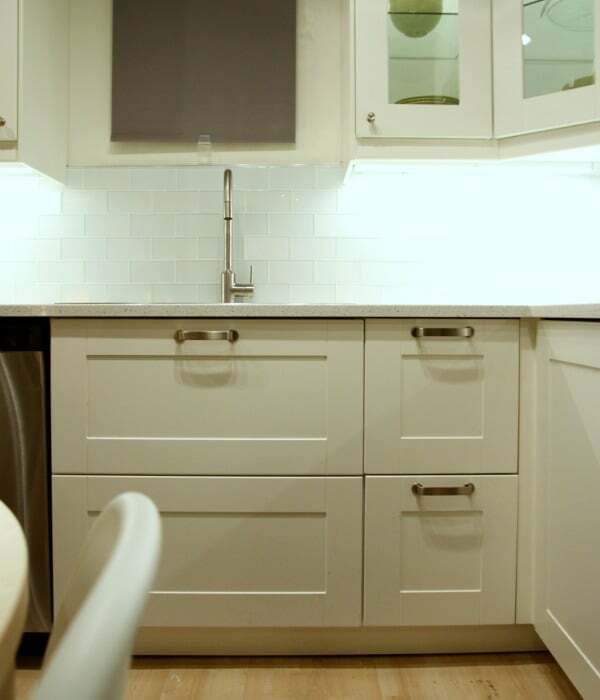 But fortunately for you, there are some simple adjustments to upgrade that kitchen. When it comes to simple, easy fixes that won't negate a security deposit, we've got you covered. 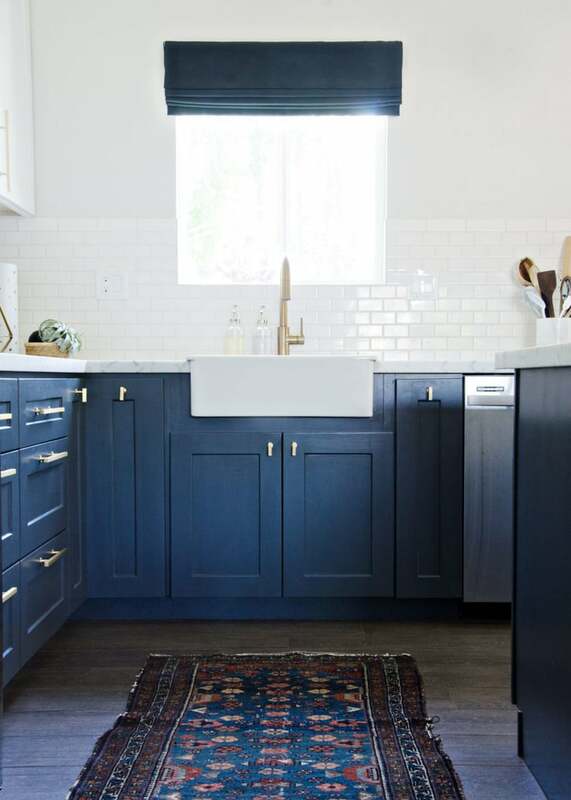 From a stick-on backsplash to the addition of a dark rug, we'll have you luxuriating in that cucina in no time. 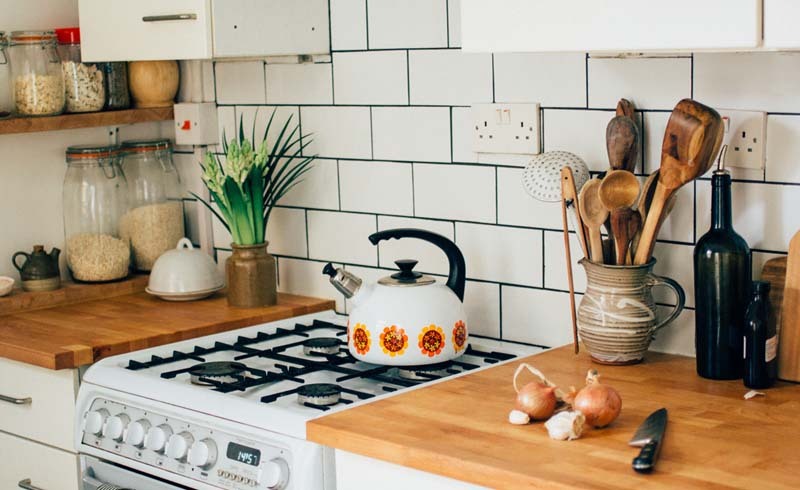 Because while a living room can be easily fixed with a few throw pillows or a vintage French poster — the kitchen? For that, you've gotta call in the experts. Most rental kitchens have laminate countertops. They're ugly, synthetic, and remarkably prone to scratches and stains. 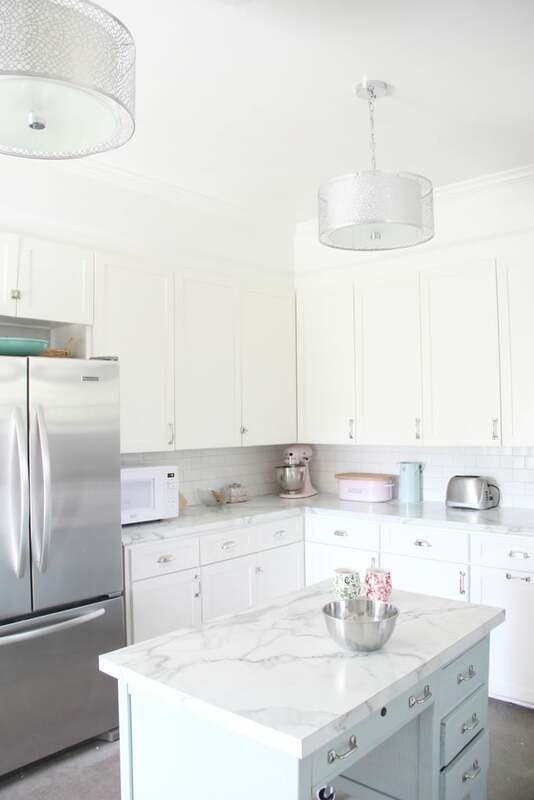 Do yourself a favor, and invest in some instant granite — like this one seen on Rachael Ray. It'll have your kitchen looking Housewives ready in an hour. And if someone as uncoordinated as me can install these bad boys, something tells me it's an attainable dream. No doubt all this talk of instant granite has got you in the mood for stick-ons! 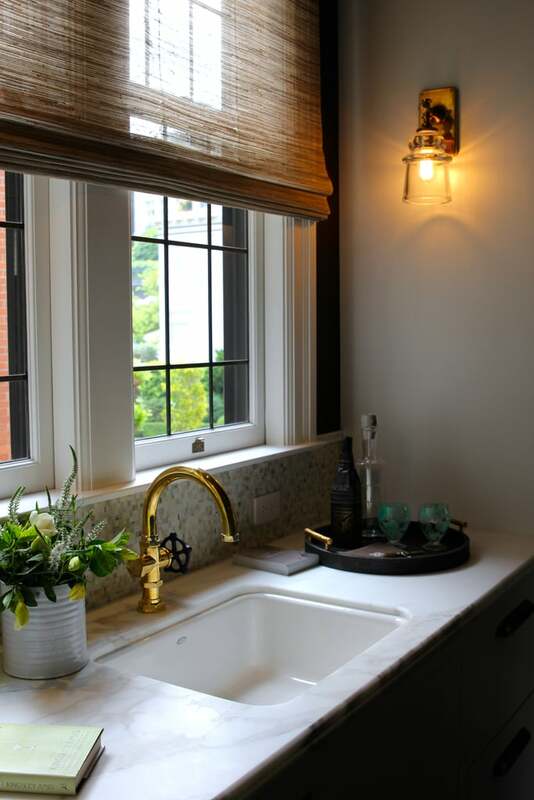 So as long as you're working on those countertops, consider adding a backsplash as well. The burst of design will instantly transform your washed-out kitchen into a colorful paradise. 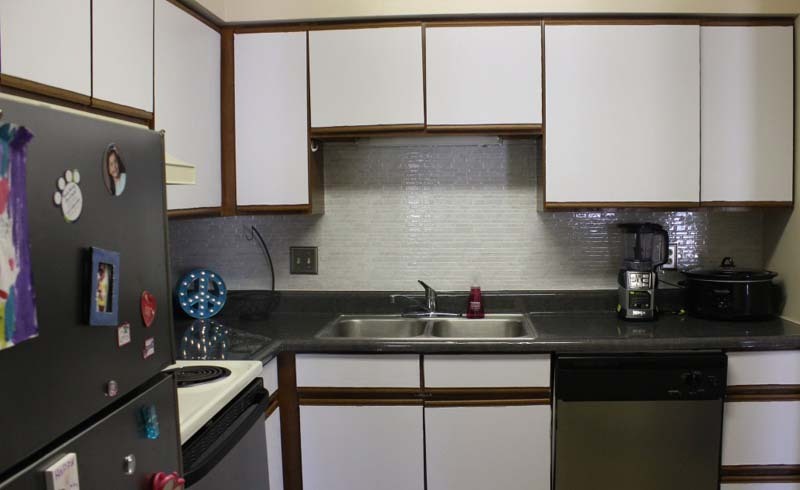 Most rental buildings won't let you paint the walls, let alone your kitchen cabinets. Fortunately, you don't have to stare at those crummy cabinets until the next time you can shell out a broker's fee. Just order a few packs of removable contact paper, and ta-da! Instant glam. 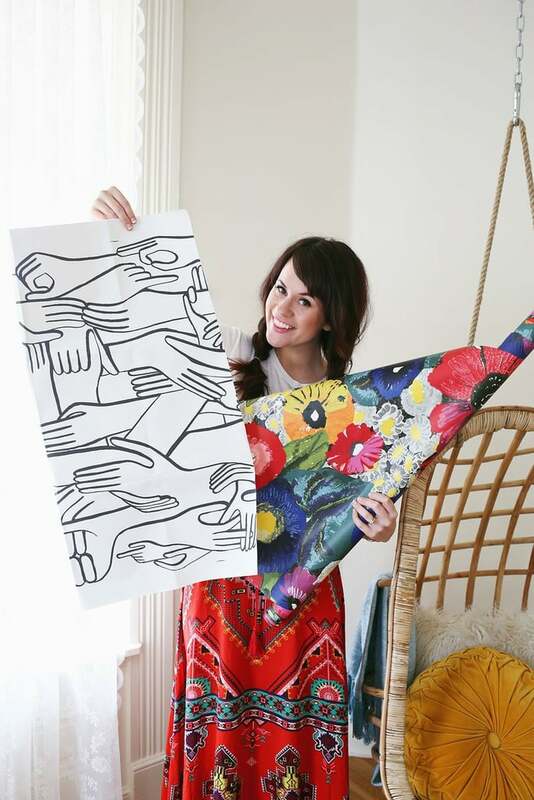 Now that you've brought color into the room, you'll want to draw attention to all that hard work. LED lights are not only easy to install, but can also be found in just about any shape, size, or price range. Think of them as the modern answer to the push light. I can only speak for New York City, where it's rare to find a building that was built in the last . . . I don't know . . . millennium. One of the biggest downsides to these vintage homes are the floors, which are often cracked and crumbling. I wouldn't recommend trying to replace the tiles — we've all seen that episode of Friends — but buying a carpet or runner can make for an easy fix. Just be sure to find something dark that won't show dirt or stains. If you don't have enough storage space — and I'm guessing you don't — try to go vertically with your things. 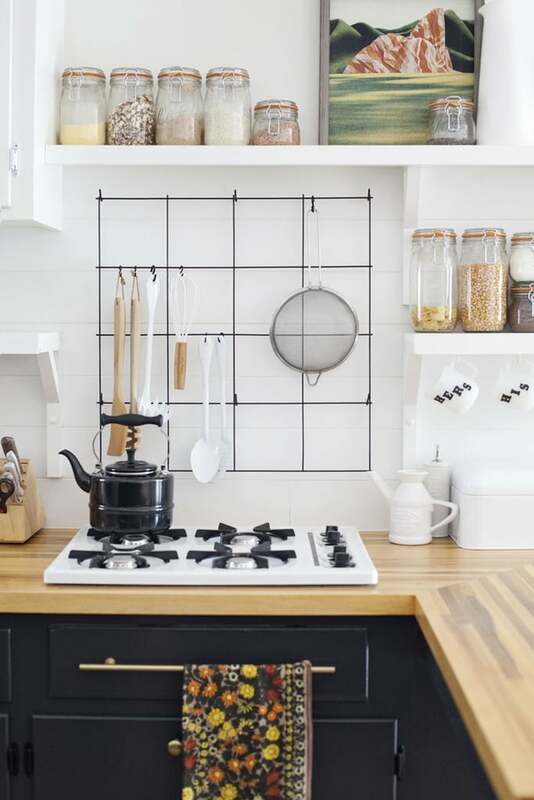 Pinterest has some great ideas for wall fixtures that can accommodate pots, pans, and utensils. Just be sure to follow the instructions — incorrect installation or pushing the weight limit can cause damage to your walls.